Give your team an award they can look forward to! 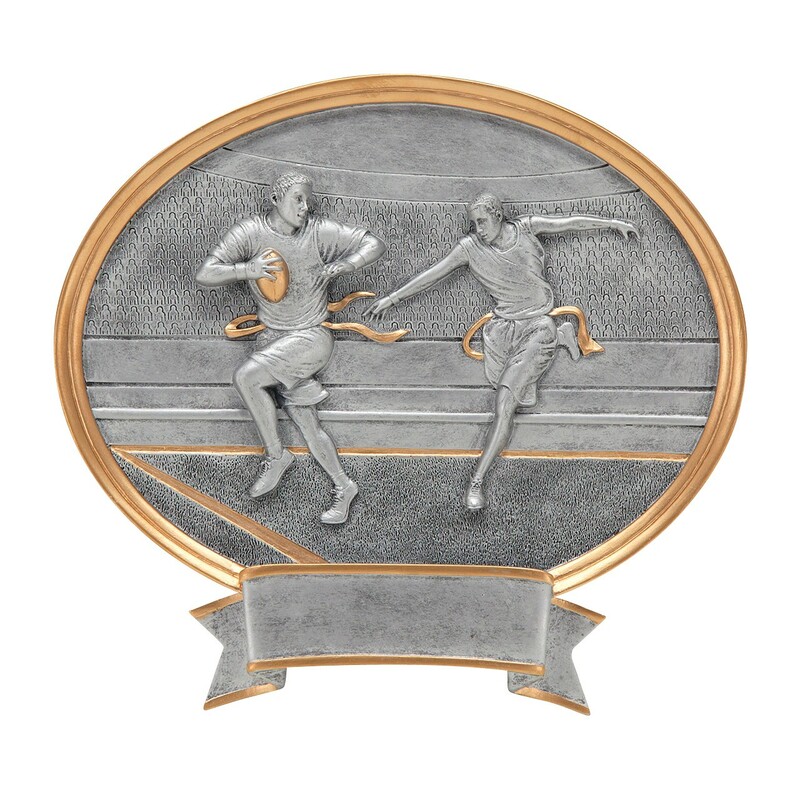 The Flag Football Legend Resin features 2 football figures in stunning silver and gold detail. Three lines of personalized engraving are included on each award in your order FREE! Your message is expertly engraved on a black brass plate featured on the ribbon design at the bottom of this resin. Deluxe Flag Football Tournament Trophy - 18.5"
Deluxe Flag Football Tournament Trophy - 21.5"
Flag Football Tournament Trophy - 22"